Illness and injuries are a part of life, but they just aren’t supposed to be a part of mine. In the past six months I’ve had Dengue Fever and a fractured foot. The Dengue Fever, which I picked up while on tour in Malaysia, put me on the side line for almost eight weeks, and my current foot fracture has already meant missing almost all of the Hockey India League and the start of the second round of Dutch Hoofdklasse games. I’ve found that the most frustrating part of all of this is who to listen to. My initial X-ray and MRI didn’t reveal anything so although I was in pain, I was given the all the clear to play the opening games of the Hockey India League. 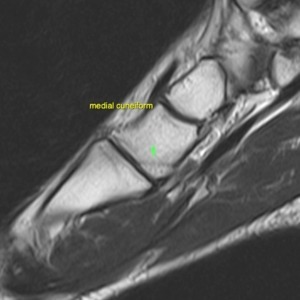 Two uncomfortable matches later - and a number of awkward training sessions - the MRI was looked at once again and the fracture in my right foot was finally spotted. To get through those games I had to dispel the idea in my mind that my foot could actually be broken. After all, I had been told by a number of medical experts that it wasn’t broken, and I was cleared to play. Six weeks on and I’m still not able to run, I’m struggling with pain in my foot and I’m not sure whom I should turn to. It’s hard to distinguish between pain from the actual fracture and from the pain that my mind is telling me I may have. So has my foot healed enough to run on or is my mind limiting me? It’s something that I’m battling with because, of course, I want to return to play as soon as possible but I also don’t want problems in the long run. I’m the captain of my club side in Holland but I’m also the South African national captain so I have big roles and responsibilities within both teams. Being involved with top level sport I have learnt how powerful the mind can be in these types of scenarios but I’ve never really experienced it for myself. So along with my recovery programme I am also setting time aside to actually visualise myself running at full strength and visualise the bone in my foot becoming stronger with every step I take. Sitting here in a comfy chair it does seem pretty easy but when I’m alone at the gym it’s a totally different story. At that moment I’m fighting every urge to just take it easy, after all who would know? I fully believe in the saying, “where the mind goes the body will follow”, so that gets repeated a lot! The South African hockey team have just begun a new phase under new head coach Fabian Gregory. I wasn’t part of the recent tour to Argentina, or the Cape Town camp and series against Germany last week. On Monday the team left for Malaysia for another tour - the Sultan Azlan Shah Cup - that I will also sadly not be participating in. Despite not being on these tours it’s been very encouraging to hear the reports from teammates who feel ‘The Lads’ are back on course after a difficult time post- Olympics. With the World Cup less than three months away, we have our work cut out: to adapt to the playing style of our new head coach, make the combinations click and, for me, getting back to personal best.